Last week, the Swedish Riksdag (Parliament) discussed the 2% diaspora tax levied on all Eritreans overseas by the Government of Eritrea. All Eritreans living abroad are forced to pay two percent of their annual income to the government in order to be able to pay visits to the country to see their families, send money back home or otherwise use any Eritrean facilities. 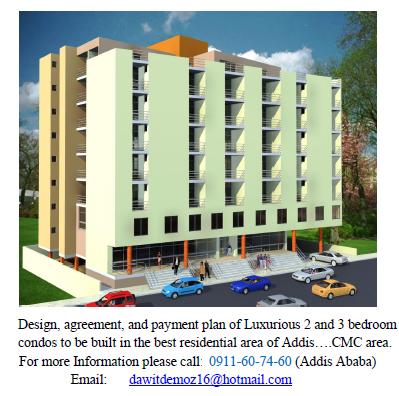 ተድላ ደስታ 3/1/12- እነዚህን አስገራሚ የጦርነቱ ዘመን ሰነዶች ለማጋራት የፈለግኩበት ምክንያት አለኝ። “ወንበዴ መሰሪ ዘራፊና አረመኔ ነው” እያለ ፕሮፖጋንዳ ሲነዛ የነበረው ደርግ ከሄደ 20 አመታት አልፈውታል። ዛሬም ቢሆን ግን አሉባልታውና ውዥንብሩ አላባራም። በእርግጥ የአሉባልታው ድግግሞሽ አሰልቺ በመሆኑ በዛው መጠን ከአሉባልተኞች ጋር መነታርኩ አላስፈላጊ ነው። እንዲህ አይነት ድንቅ አስረጂዎች ሲገኙ ማካፈል ግን የአልብዋልተኞችን አፍ ባያስይዙም ታጋዮቹ ሰብአዊነትና ዲስፕሊን ምን ያህል የታነጹበት መለያ ባህላቸው እንደነበር ያሳያል ከሚል ተስፋ ነው። . A senior European diplomat said the release of two Swedish journalists imprisoned in Ethiopia are in the final stage. The Integration of Technical and Vocational Education and Training with Sustainable Development Education: A Review of African Case Studies. NARIOBI, Kenya, Mar 1 – Kenya and Ethiopia on Thursday signed an agreement for the construction of a standard gauge railway line from Lamu in Kenya to Addis Ababa, Ethiopia.The deal was sealed at State House Nairobi and witnessed by President Mwai Kibaki and Ethiopian Prime Minister Meles Zenawi. It is important to recognize what has been accomplished in Sudan...The United States should also seek to mediate the situation. Khartoum will likely dismiss direct overtures, but Washington should support and encourage efforts by regional stakeholders. Ethiopia, for example, has a strong interest in resolving the situation and is already leading negotiations on oil revenue sharing. It can play a critical role. 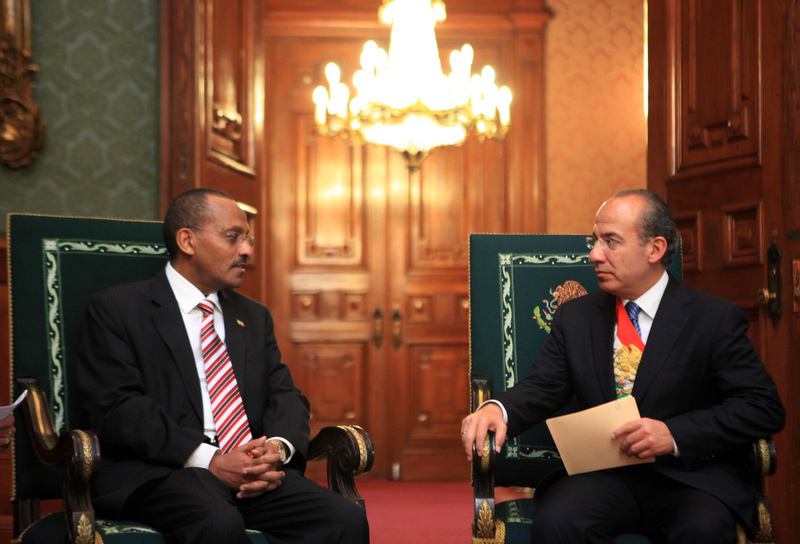 Tsehaye Debalkew, Washington DC, February 27, 2012- The newly appointed non-resident Ethiopian Ambassador to Mexico, Girma Birru presented his credentials to President Felipe Calderón, the President of the United Mexican States last Friday February 24, 2012 at the presidential palace in Mexico City. Youth of Somali kilil... WE ARE ETHIOPIAN! 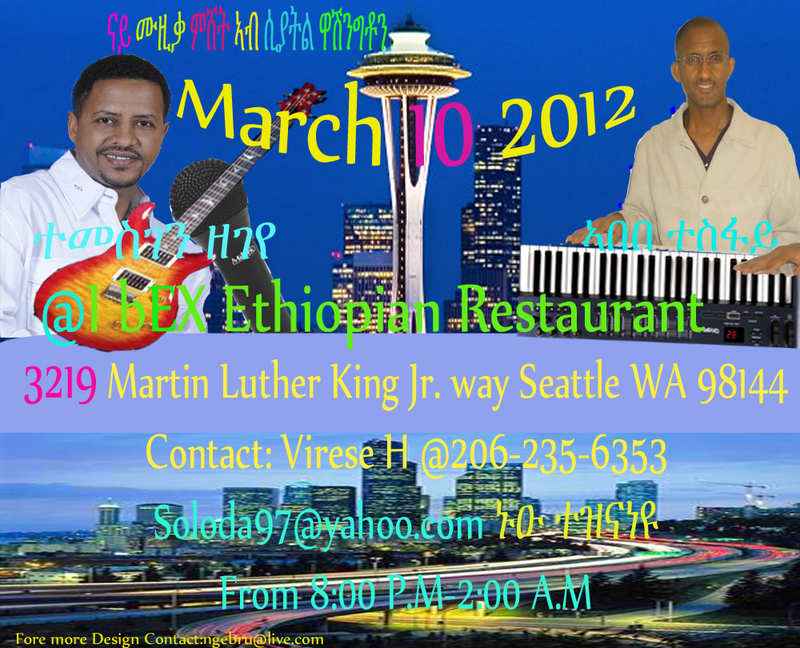 The Seattle Tigray Community Cordially Invites all to a Fund Raising Event for Freehiwot and Mulubrhan! A response to Asgede’s account of events during the early days of the TPLF. Asgede wrote two books and many people have hard time believing his account of events.